Check back for the latest blog updates! 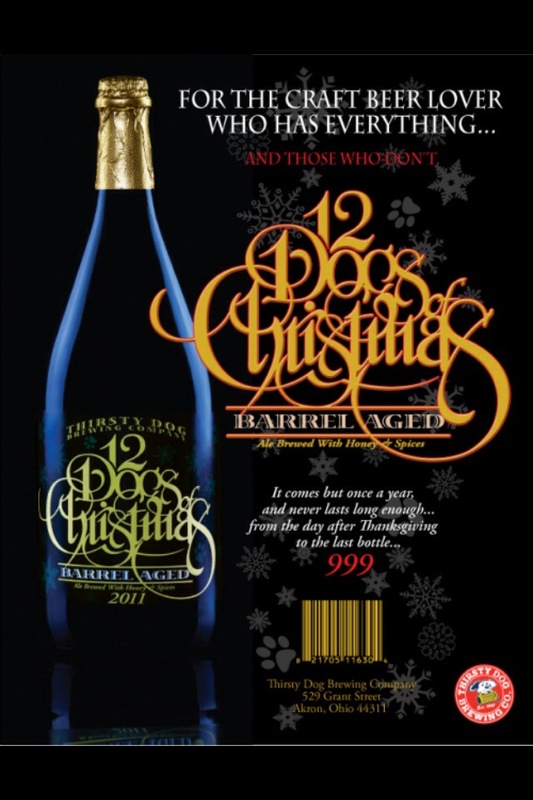 Thirsty Dog Barrel Aged 12 Dogs of Christmas – There were only 999 bottles brewed of this ale brewed with honey and holiday spices and aged for 24 months in Willet bourbon barrels. It makes a perfect holiday party gift, as it comes in a magnum (1.5L) bottle to share with friends. 2006 Stone Imperial Russian Stout – The Stone Imperial Russian Stout already has a cult following among beer enthusiasts, many of whom eagerly await its release every year. May we suggest creating a vertical tasting gift by pairing the 2013 release of this beer with a bottle of Stone’s special release of the 2006 brew? We have a limited supply of the 2006 version, get it while you can! Holiday Growler Gifts – Give the gift that keeps on giving – a refillable growler for craft beer on draft! Fill a 32oz or 64oz growler with Great Lakes Christmas Ale or 12 Dogs of Christmas, on draft now at the shop. Or give a Growler Set! For $29.99, get a 64oz growler, 2 Corner Stone pint glasses, and a coupon good for their first fill with te beer of their choice! Wine Lover Gift Set – Put together a wine gift for your holiday party hosts! Include a bottle of Orin Swift’s The Prisoner, Wine Spectator’s Top 100 issue, a wine opener & a package of Wine Wipes to avoid purple lips & teeth at the party! Or pick up a St. Germaine Gift Set that includes a bottle of Elderflower Liquor and a fancy glass carafe and pair it with a bottle of Boccelli Dry Prosecco for a ready-to-make party cocktail! Need more ideas? Come talk to us for inspiration! We have gift basket materials ready to go! Happy Holidays!